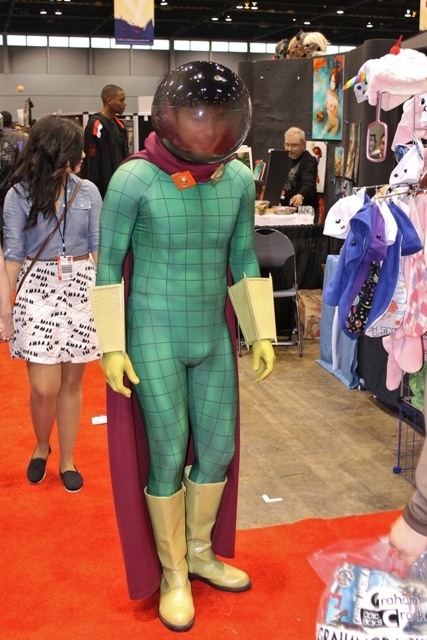 CHICAGO COMIC & ENTERTAINMENT EXPO (C2E2): They’re off to slay the Wizard! In the earlier days of this site, I attended The 2010 Chicago Wizard Con (story HERE) and was not a happy camper. 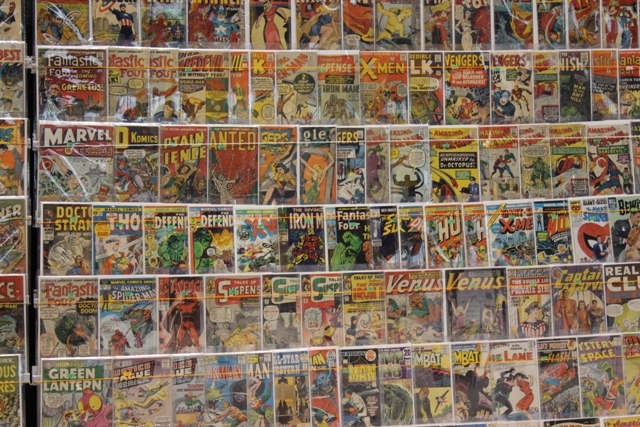 Granted the intense crowds did give me a bit of satisfaction knowing that, in the 15 years since I’d quit collecting comics, us geeks had clearly inherited the earth. Unfortunately, this was tempered by my perception of us fans being treated like cattle along with having to deal with their pampered celebrities. This is the first year I attended C2E2 (Chicago Comic & Entertainment Expo) and it was a last minute decision. Still recovering from Horrorhound (and, yes, we still have much more to discuss regarding that event) I had requested my C2E2 Press Pass late in the game and was surprised when it arrived last week. The event was HUGE and took place at The McCormick Place in Chicago. I decided to take my son, Luke, along for the journey too (NOTE: on Sunday April 15th all kids are FREE). I noticed that the 501 Legion of STAR WARS stormtroopers were going to be there and, while perhaps not as hip to this generation as the Clones, knew it would still appeal to him. 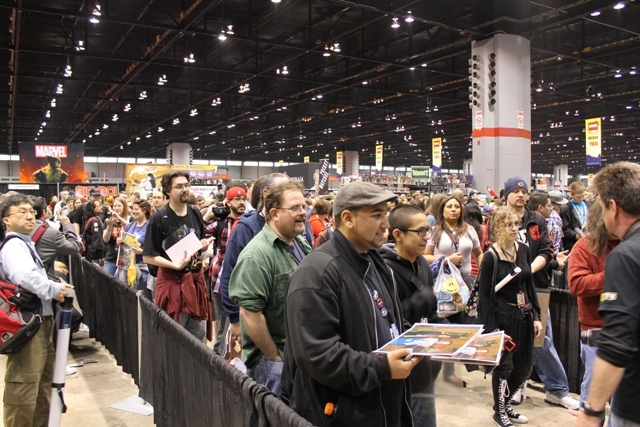 STAR WARS fans were not only welcome, but had been drawn to C2E2 like a proverbial tractor-beam at the announcement of Anthony Daniels (C-3PO) attending and signing autographs. I had seen Daniels at a past STAR WARS CELEBRATIONS but only as a speaker. His line remained fairly long throughout the day and had a wide assortment of fans including the sectioned Sith Lord, himself, Darth Maul. Despite the presence of Daniels, STAR WARS fans were far outnumbered by those in favor of super heroes & comic villains. With the long-awaited AVENGERS film being released later this year, along with a new SPIDER-MAN and the announcement of a second CAPTAIN AMERICA film in the works, this wasn’t too surprising. What I did find interesting was how the female fans seemed to equal the males. Back when I was a comic fan, you could count on one hand how many gals were in attendance at these type of events. Sven showed up on time but I noticed he looked a bit under the weather. Jim Roche, his assistant, admitted he was “fighting something” and not feeling his best. 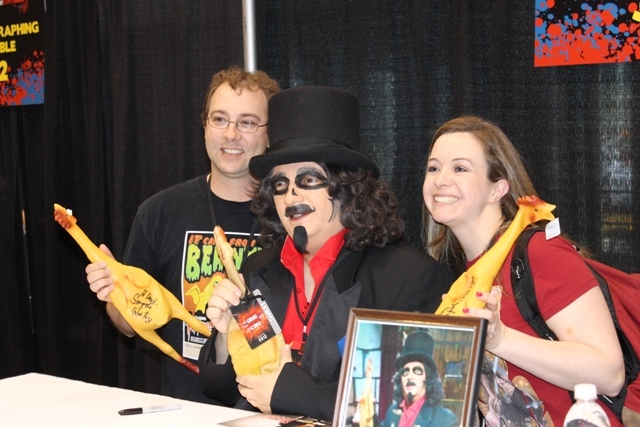 Making matters worse, fans were showing up with posters of Svengoolie and Chicago’s Bozo (Bob Bell) that were being sold at the convention. Note to any would-be entrepreneurs out there; selling images of Svengoolie is a “Bozo no-no.” Roche left his ailing star to find the dealers and give them a friendly reminder that this was unlawful activity, and later stated that the sellers quickly agreed to stop doing so. I talked to a few folks in line, most notably a nice couple named Derrick & Kelly Powell. Derrick had been a fan since those “Son of Sven” days and introduced his favorite host to his wife, Kelly, upon getting married a couple of years ago. The two had never met him before despite unsuccessfully trying twice. The first was at The Hawthorne Racetrack (that event covered HERE) but a misunderstanding regarding which racetrack he was appearing at led to them being three hours late and missing him entirely. The second was his recent Brookfield Zoo appearance (discussed HERE) which also saw them arriving too late. Attempt number 3 would definitely be the charm as they would not only finally get to meet Sven but be the very FIRST people in line to do so! 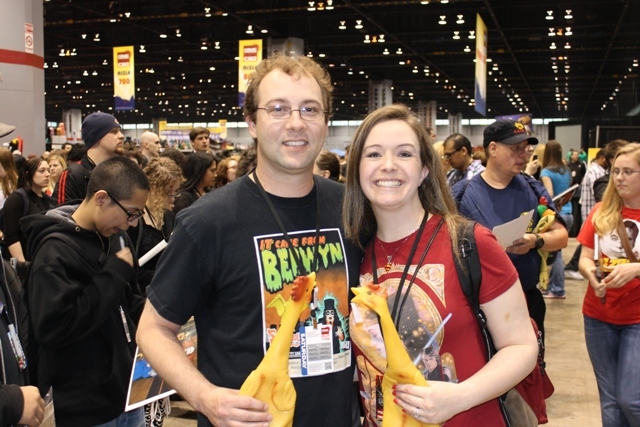 I was also pleased to finally meet fellow Svengoolie fan, and avid reader of this blog, Joan Gibbemeyer Yingst. Ms Gibbemeyer Yingst is always so nice to comment and give positive feedback on our TERROR FROM BEYOND THE DAVES Facebook page (which if you haven’t “Liked” yet, please do so) and I was so happy to have been given a chance to tell her personally just how much we Daves appreciated her for that. Joan, we think you’re TOPS! 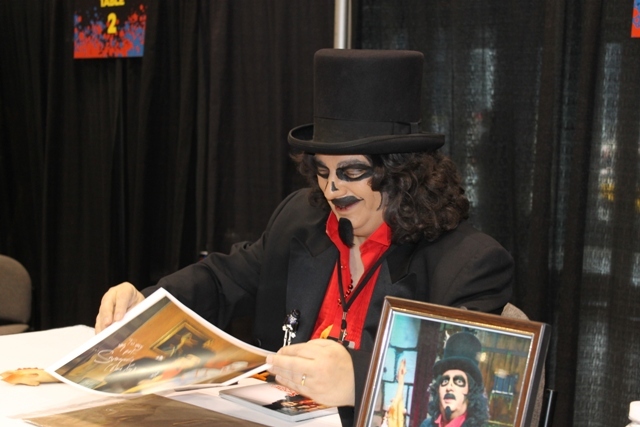 Svengoolie’s line moved smoothly and, afterwards, would later go out and say hello to comic artists of whom he was a fan of. On the way home from the event, I heard a scratchy-voiced Sven on Live WGN radio discussing C2E2, horror hosting, as well as his other great love “The Three Stooges.” Rich, if you’re reading this post…GET WELL SOON! Not far from Svengoolie was the line for Nicholas Brendon a.k.a. “Xander Harris” from one of my all-time favorite shows “Buffy the Vampire Slayer” (as I discussed HERE). Brendon had been at the aforementioned Wizard Con but I didn’t bother meeting him there because they wouldn’t permit photos. This time it was allowed and I will discuss that meeting soon as well as some “Buffy” insights. 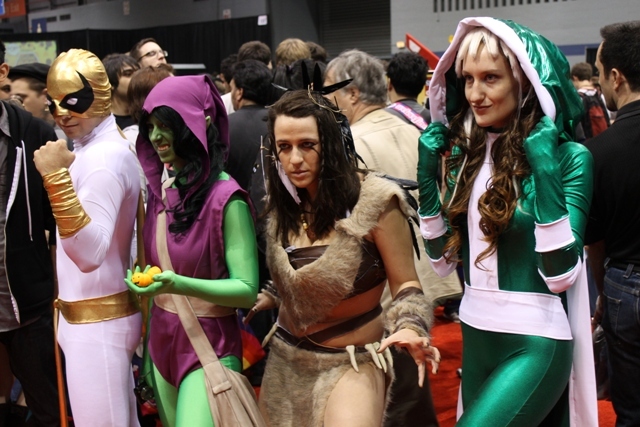 Suffice it to say, C2E2 had the look and fan fervor of Wizard Con but seemed a LOT more fan friendly. It also attracts a few comic companies and artists who’ve felt alienated by the larger (though not that much larger anymore) WC. I noted that the celebrity lines here were well organized and seemed to flow quite well. I have no intention of ever sitting foot in a Wizard Con again, but will no doubt return to to this one. Yes, its true that us nerds have shown our economic might of late, rivaling that of the very heroes we cheer on the Silver Screen. C2E2 is a great venue for all of our tribes (sci-fi, comic, and horror) to come together and all feel right at home! 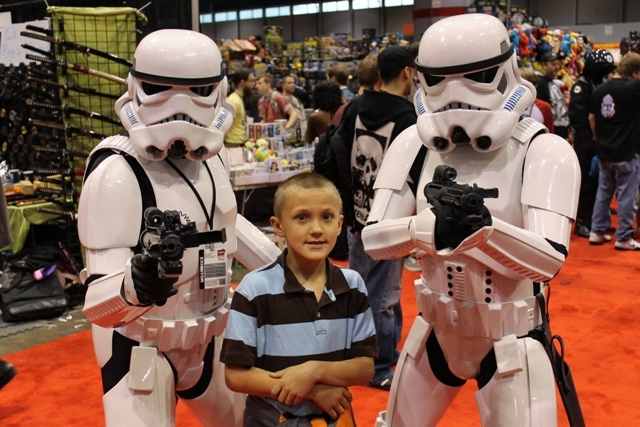 This entry was posted in Comics & Superheroes, Convention & Expos, Cosplay and tagged Anthony Daniels, C-3PO, C2E2, CAPTAIN AMERICA, Darth Maul, Mysterio, Sith Lord, Son of Svengoolie, STAR WARS, STAR WARS CELEBRATION, Stormtroopers, Svengoolie, The 501st Legion, The Avengers, The Uncanny X-Men. Bookmark the permalink. ← Face to Leatherface with “The Texas Chainsaw Massacre’s” Gunnar Hansen! Thank you for the mention, Dave. It was definitely my pleasure to meet you. You and the other Dave do such wonderful work and I enjoy your blog so much!